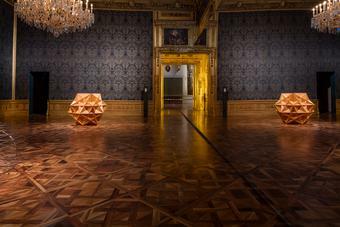 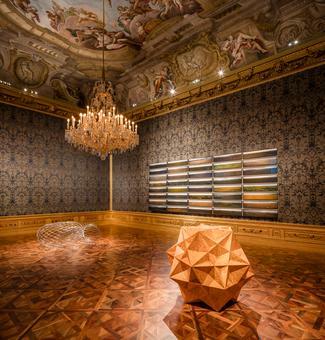 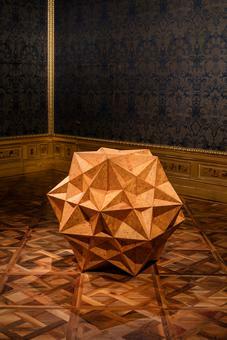 A three-dimensional translation of the Amman lines that appear across the artist’s explorations of fivefold symmetry, Fivefold cube is based on a geometry experiment undertaken with Eliasson’s long-time collaborator, the mathematician Einar Thorsteinn. 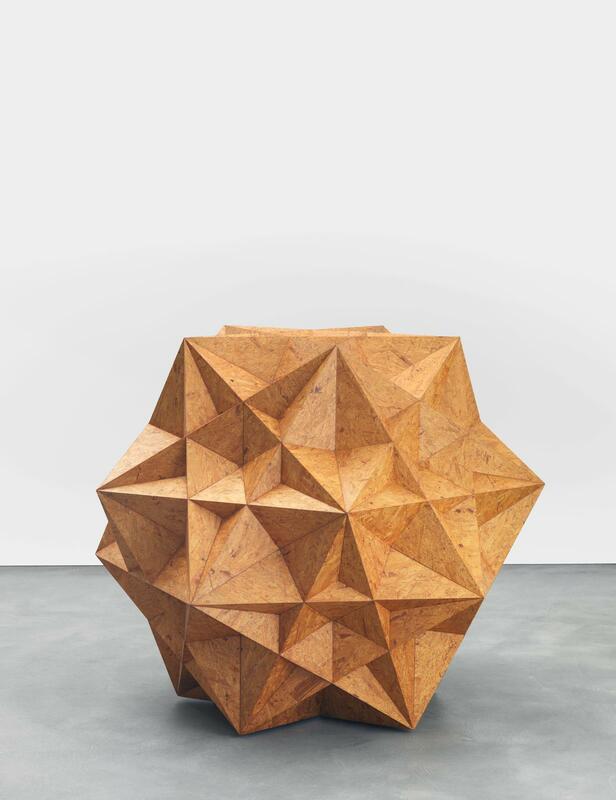 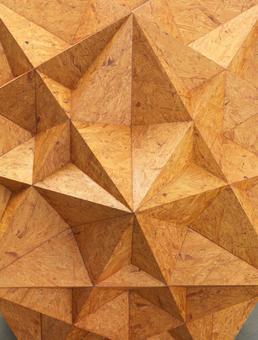 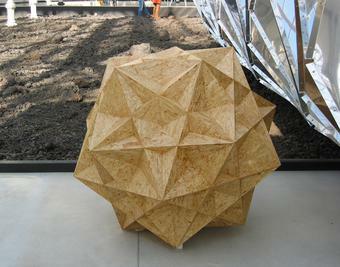 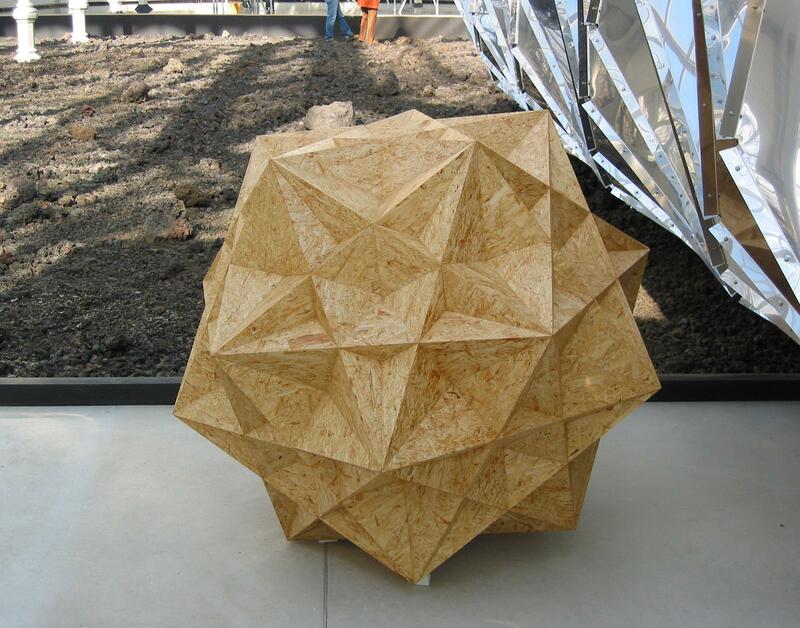 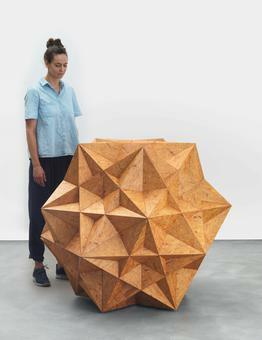 Constructed from panels of OSB particle board, the waist-high sculpture presents a composite of five cubes that have been rotated around a common axis and placed inside one another to produce a complex yet symmetrical form. 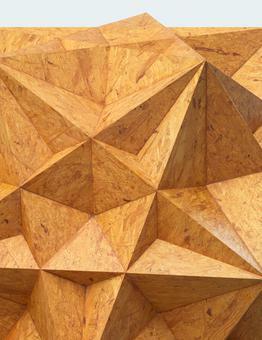 The elegance and precision of the geometry contrasts with the organic irregularity of the scattered strands of compressed wood from which it is composed.